Using Adobe Photoshop or other Adobe products, design and slice website elements into various graphical image files for use on a website. Develop the search engine and performance optimized front-end (HTML, CSS, and JS) for customer websites. Carry out W3C validation, cross-browser accessibility and usability audits and tests, debugging, website maintenance and customer website support. 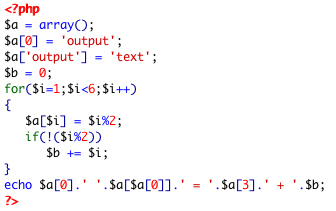 Strong hand-coding of semantic, efficient, standards-compliant HTML, PHP and CSS code. Ability to implement various Content Management Systems including Wordpress, Drupal, Joomla, etc. Detail-oriented with the ability to achieve pixel-perfect design across multiple browsers. Strong knowledge of the Adobe products including but not limited to, Adobe Photoshop, Adobe Illustrator, Adobe Indesign and Adobe Dreamweaver, as well as, knowledge of basic graphic design principles. Strong understanding and experience implementing Responsive Web Design in website layouts. A solid understanding of web design, accessibility, usability, search engine optimization and information architecture. Effective communication skills that include maintaining detailed documentation, possessing professional business etiquette and communicating confidently with customers face-to-face. Ability to manage multiple projects simultaneously while consistently maintaining high standards. Excels in fast-paced working environment. Experience leading projects from requirements to completion. Experience working in collaborative coding environment. Paid vacation days, sick days, birthday. A portfolio of live or archived URLs or digital experiences must be submitted for consideration. Please complete the test below to move on to submitting your application. Before you begin please have a copy of your resume in a .pdf form ready to upload. 1. In CSS, which symbol denotes a style by ID? 2. Within the source code of this page, there is a comment with the answer to this question. Find it. 3. In Photoshop, which is the crop tool? 4. In the box below there is an element with the id of "click_square", click it. 5. After the program below runs, what is the value of $i? Not required, but let's see what you've got. After the program in question 5 runs, what is output to the screen?